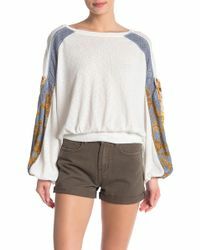 Free People is all about providing clothing lines for feminine, free spirited women. 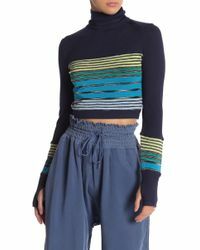 The brand is well known for its boho aesthetic but also ticks off numerous different looks, from romantic and carefree through to form fitting, womanly bodycon. 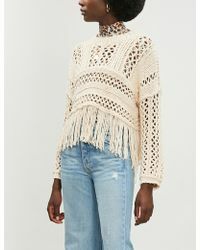 The knitwear range from Free People includes a broad selection of styles, including cute sweaters, lace trimmed pullovers and chunky knits. 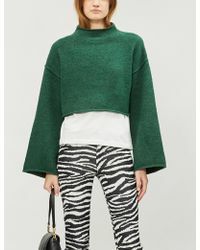 There are zip cape styles, pullover ponchos, longline fringed cardigans and premium cashmere designs. 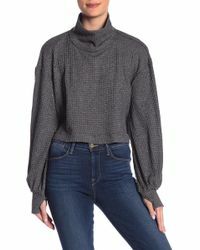 Kimonos, turtlenecks, cable-knits, cowl necks, shrugs and blanket cardigans sit alongside glamorous sequin sweaters and ultra womanly wraparound styles. The brand has knitwear for just about any occasion.